I’ve played in very good orchestras in the past, but it wasn’t until I started playing as a substitute violinist in the PSO that I realised I’d had no idea what playing in a truly top notch ensemble really meant. The immediate impression I had, sitting in the back of the second violins for Stravinsky’s Firebird with Mariss Jansons, was that this was a different league entirely. I was goggle-eyed; it was like going from driving a Honda all my life to slipping behind the wheel of a Maserati. It was a totally different beast. There were no allowances for poor technique, musical clumsiness, or insensitivity. It just didn’t exist here – you had to be on your game, you had to be better than yourself, because everyone around you was killing it, not just technically but artistically, and they expected no less from you. This was the orchestra of Richard Strauss, of William Steinberg and Lorin Maazel…a tradition of excellence in the most true, unrelenting sense of the word. Great music is a kind of madness, and once I’d experienced it on such a large scale, I couldn’t NOT be a part of it. It took me 10 years of auditioning for this orchestra before I got the job, thousands of hours practicing and playing for people, building up and tearing myself down like we all do when we want something bad enough. There are moments in this band that are pure magic. You can feel it when that energy, or flow, or whatever you want to call it, happens. It’s visceral. Things click, and then you’re on this wild ride where nothing can go wrong. Everyone is in this moment, everyone is playing their hearts out, exposing the core of who they are, and this thing, this magic, can not be derailed. It’s more than exhilaration. It’s connection. With each other, with the conductor, with the composer who lived 300 years ago, with the people listening here in the hall … and for me, with the divine. With that thing in mankind that searches to be more than he is, to feel connected with the universe. That happens for me, only here, only with these people. And when I’m in that moment, I feel a fierce pride and love, and there is nothing I wouldn’t do for them. This is an incredibly gifted, demanding, inspired, maddening group of artists, and it’s the kind of ensemble every musician dreams of being a part of. Does this exist in other orchestras? Perhaps, but I think that’s irrelevant. The point is, it happens HERE. Regularly. Magic happens here and has been happening here for more than a century. 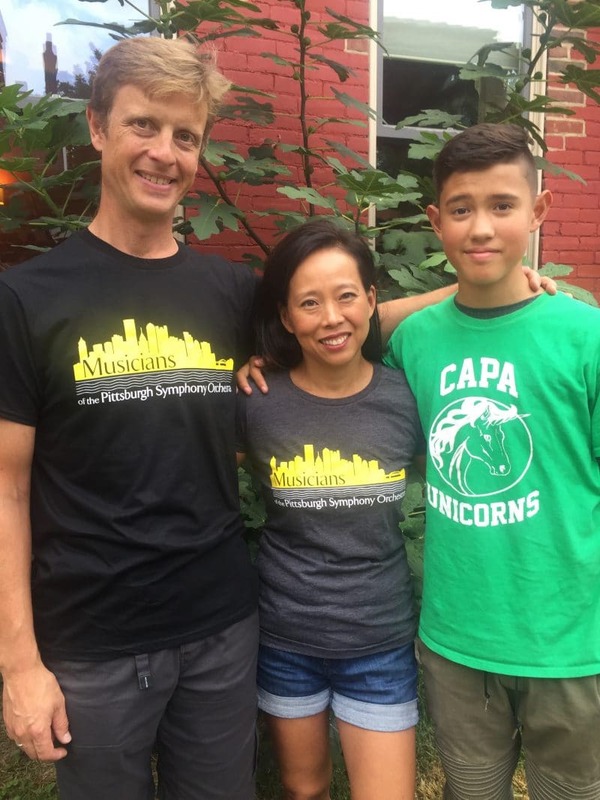 For this management, newcomers who have no real understanding of the generations of work and support Pittsburgh has put into this amazing orchestra, to decide for this city that it can no longer happen, is grossly appalling and inexcusable. Pittsburgh deserves THIS great orchestra. Beautifully written. That magic is my favorite thing – and possibly the most difficult to describe – about the PSO.